In another time, the unsung hero of breakfast, the ungarnished slice of floppy bread, would have gone unnoticed. The thought that a game would appear in which such an unlikely hero would be its focus would have once been ridiculous. But we are living in an era of unusual protagonists, where cephalopods, goats and even surgeons, of all things, are deemed important enough have their own games. 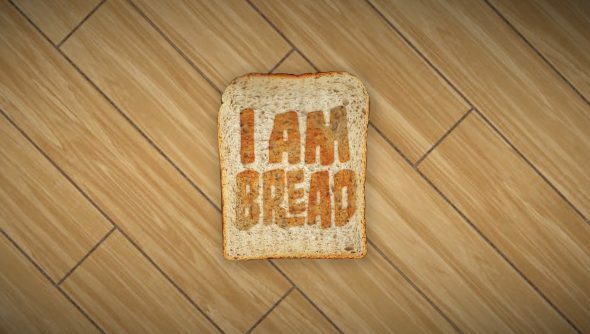 So there’s nothing weird at all about Bossa Studios’ I am Bread. I am Bread hones in on the singular goal of a slice of bread: to become a slice of toast. It must flop its way around a home, wobbling about, sticking to every surface from tables to fans, all so it can reach somewhere hot enough to evolve it into delicious toast. And of course the balance between deliciousness and edibility must be maintained. Bossa has yet to reveal a release date.